We totally get it that less is more, but sometimes more is more also. At least that was the philosophy when Danner built this pair of Trakwelt 13243 Men’s Non-Metallic Toe EG 8-Inch Waterproof Work Boots. With all of the added features for extra durability, these ... (see full details) (see specifications) #13243. We totally get it that less is more, but sometimes more is more also. At least that was the philosophy when Danner built this pair of Trakwelt 13243 Men’s Non-Metallic Toe EG 8-Inch Waterproof Work Boots. With all of the added features for extra durability, these 8-inch men's boots are perfect for those with some of the toughest jobs in America. Abrasion-resistant toe caps, non-metallic safety toes, rugged leather, and reinforcement everywhere you look, these Danner Trakwelt boots are made for working and that's exactly what they'll do. Starting off with Danner’s Trakwelt outsoles, these EH Danner boots are oil- and slip-resistant and made with rugged outdoor traction for protection from falls, no matter what you're up to. The 90° heel adds safety on steep terrain and when you're climbing in and out of equipment or on ladders. Using the strong and durable Goodyear welt construction, these 8-inch work boots are stable and made with a long-lasting hold that will survive even the toughest of conditions over time. Finished off with non-metallic toe caps inside this Danner footwear, you'll have the lightest weight protection on your feet. The non-metallic material will not get hot or cold. The caps won't set off metal detectors, and they still meet or exceed ASTM F2413-11 M I/75 C/75 standards. These safety toe boots are also made with built-in electrical hazard protection that meets ASTM F2892-11 EH standards. The abrasion-resistant nubuck leather is sanded, so it's extremely durable and extra thick. Even with the added toughness, the nubuck is still designed for comfort needing little to no break-in time. The 8-inch lace up design supports your ankles and is ideal for uneven and unpredictable terrain, reducing the chance of injury when your footing is a little dangerous. Padded collars and tongues ensure the most comfortable fit around your ankles, and leather finger pulls at the back help you get these EH waterproof boots on quickly and easily. The double-stitched exterior is reinforced at all of the seams, and the abrasion-resistant toe caps add extra durability with the scuff proof design covering your boots most vulnerable area. 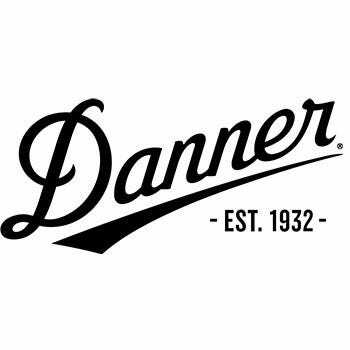 Inside these safety toe boots, you can enjoy the Danner Dry liners that offer a 100% waterproof barrier that uses membrane technology to allow moisture to escape your men's footwear without allowing any moisture to enter. This brings in fresh air from the outside and pushes out sweaty air for more comfort that lasts all day. Underfoot, the PU midsoles create shock absorbent zones in the heels and forefoot areas with targeted cushion exactly where you need it. This reduces the amount of stress and shock your feet encounter throughout the day for more stamina and better support. For all you need and a little more because you deserve it, these Danner Trakwelt 13243 Men’s Non-Metallic Toe EG 8-Inch Work Boots from Working Person's Store are ready to go to work for you, no matter what your job has in store. Danner Boots: Trakwelt 13243 Men's Non-Metallic Toe EH 8-Inch Work Boots is being added to your cart.